British Airways has announced that a new flight route between London Heathrow and the Italian city of Bologna will be opened next year. The new service will carry passengers daily to Bologna from April 29. Holidaymakers planning to travel to Bologna using the new service can start booking their flight tickets from November 10, with prices starting from £139 return. 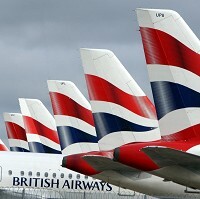 British Airways has also increased the number of flights from Heathrow to four popular European destinations - Barcelona, Brussels, Amsterdam and Rome. Holidaymakers, who are likely to have taken out a comprehensive travel insurance cover, can benefit from the new flights to the top tourist spots during the peak summer season. Passengers can buy Heathrow-Barcelona tickets for £115 return, while tickets to Brussels start from £144 return, to Amsterdam from £104 return, and to Rome from £173 return next summer.